Nagoya Castle is Nagoya's most visible attraction and symbol of the city. It is most closely associated with the Tokugawa after Ieyasu decided to rebuild it in the early 1600s. Twenty daimyo lords from Western Japan were ordered to build the castle including Kato Kiyomasa who built Kumamoto Castle. It was the base of the Tokugawa's Owari branch. 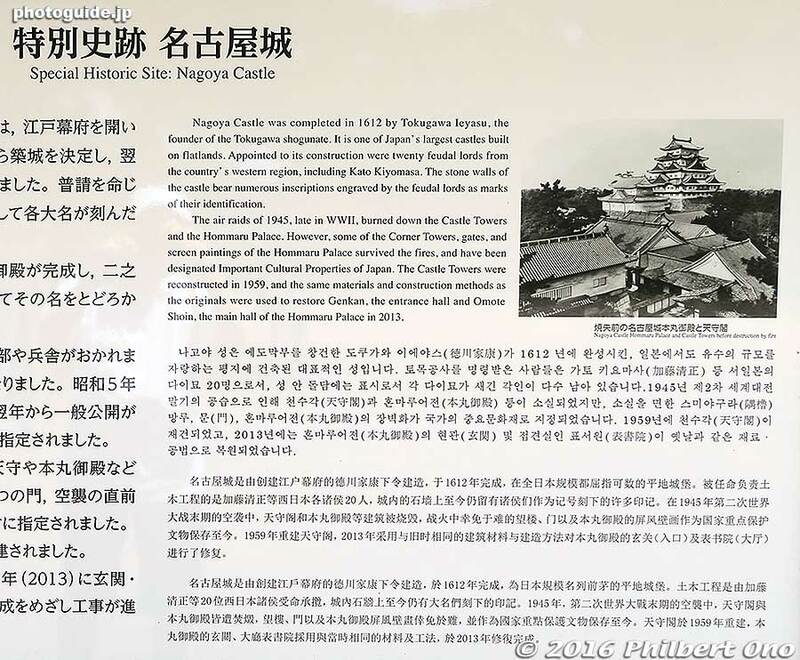 The main castle tower was paired with a smaller tower and the Hommaru Palace and Ninomaru Palace were built nearby.